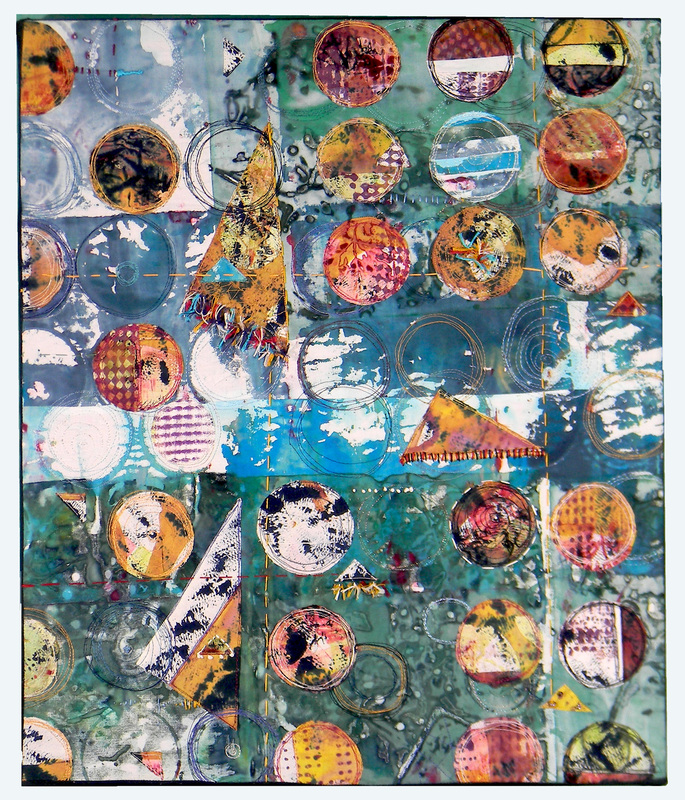 Reception for Art as Quilt: Transitions in Contemporary Textile Media Exhibition on Sunday, October 18, 2015, 2:00 pm – 5:00 pm. Put that date on your calendar now to join us at this exhibit! This is striking Janis. Congrats on the show, wish I lived close enough to come. I am not surprised they put this front and center. Honestly, it’s so incredibly cool. I haven’t wanted to sew for months. This is making me want to run to the sewing machine. I just lost a fur baby yesterday, so that really is saying something. Thank you for the beautiful inspiration. Congratulations on the exhibit piece. You are always doing such different things. Always very impressed and inspired. I will try to make it to Brockton. Thanks for all the encouragement! Soon, there will be more about this piece!